With certain loopholes concerning in tourism sector and an aim to contribute to promotion of Cambodian cultures and traditions, Angkor Rice Spirit House has come into existence in form of medium-scale business to produce Khmer Rice Spirit with ultimate efforts and commitments to attract worldwide supports. Khmer Rice Spirit House was officially launched in May 2009 in Siem Reap Province of Angkor land which is located along the former Cambodian-Korean friendship road, known as Angkor-Pyongyo or Street No. 60 about 800 meters to the east of Kantha Bopha-Jayavarmann VII Hospital in Traing Village, Slar Kram Commune, Siem Reap District, Siem Reap Province. 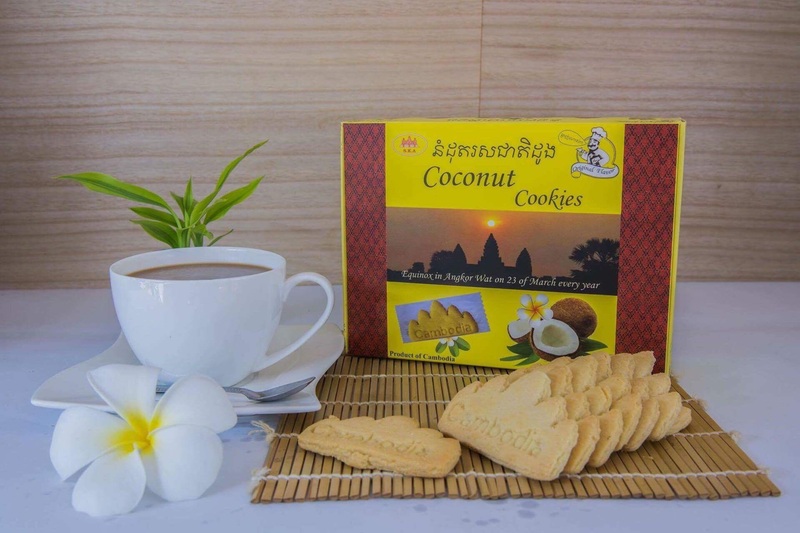 It is considered as a phenomenom in Cambodian economic history and for Cambodian people who have seen and known our founding.​ Angkor Rice Spirit House produces new and unique products with perfect conditions in terms of quality, attractiveness and hygiene. Angkor Rice Spirit House, in the prime location of Siem Reap city, has managed to incredibly attract many national and international tourists. With a quick glance at the house, it can be understood that it is just a simple house. But when you pop in the house premise, you will see very interesting activities that you cannot miss. That is Smok (box made from palm leaves) handicraft house with few people busy weaving Smok from palm leaves for packaging Rice Spirit bottle and other souvenirs. Next, you will experience the displays of raw materials and other natural ingredients of Rice Spirit on the bamboo bed near sidewalks. Not far from show room is distillatory place where is busy with no break in order to produce rice spirit to meet the demands of the clients. All guests who visit here are allowed to get in the maturating room which is full of good smell of rice spirit. Next is product display room with a variety of spirits which 100 percent extracted from natural agricultural products such as Khmer rice spirit smashed by hand, Banana spirit, Pineapple spirit, Honey spirit, Coffee spirit, Cassava spirit, and So Khrom Spirit. Each type is distilled with modern standards and hygiene free from chemical substances and thus from health impacts. In this room, all guests can try favorite spirits free with unlimited quantity. There are many guests who have never thought of Khmer Rice Spirit with such surprise and gracious taste of rice spirit with very good natural smell and priceless value of true Angkor Khmer brown rice spirit. All guests are welcomed with introduction of each type of displayed spirit by our friendly staffs. Especially, you can buy any kinds of our rice spirit products from here to serve at home or as a gift for your beloved ones at the most reasonable price. For more information, please contact us at house No. 10, Angkor Pyongyo Street (or Steet No 60) TraingVillage, Slar Kram Commune, Siem Reap District, SiemReapProvince (800 m to the east of KanthaBopha-JayavarmanVIIPediatricHospital) or E-mail: info@angkorricespirit.com or limviriya@gmail.com.